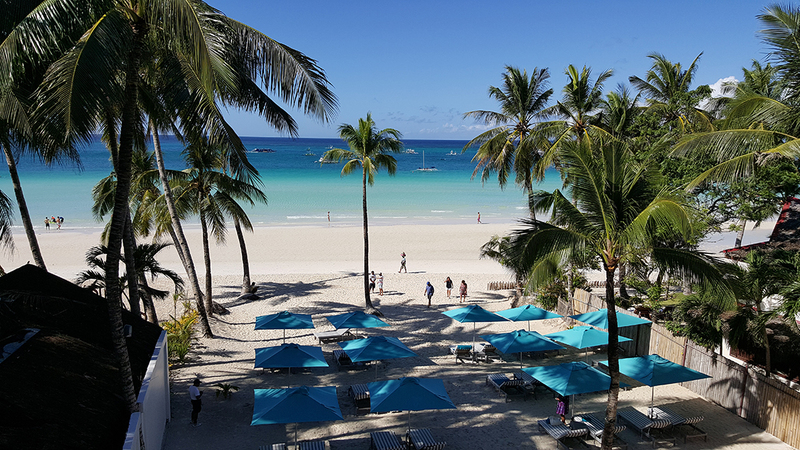 Boracay Island in the Philippines is a paradise for beach and sun lovers from all over the world for its beautiful beaches with powder white sand and its turquoise sea. The prominent Travel + Leisure Magazine chose several years ago, Boracay as the “Best Island” in the world! 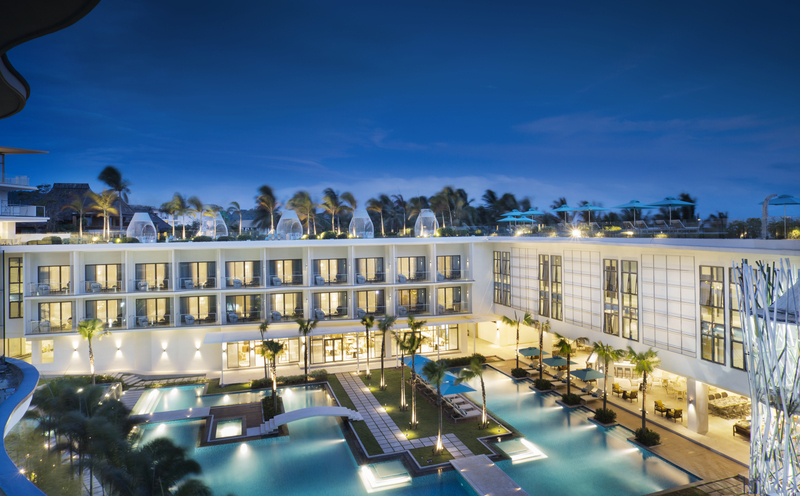 The newly opened Lind Boracay is a 5 star hotel from real world class. 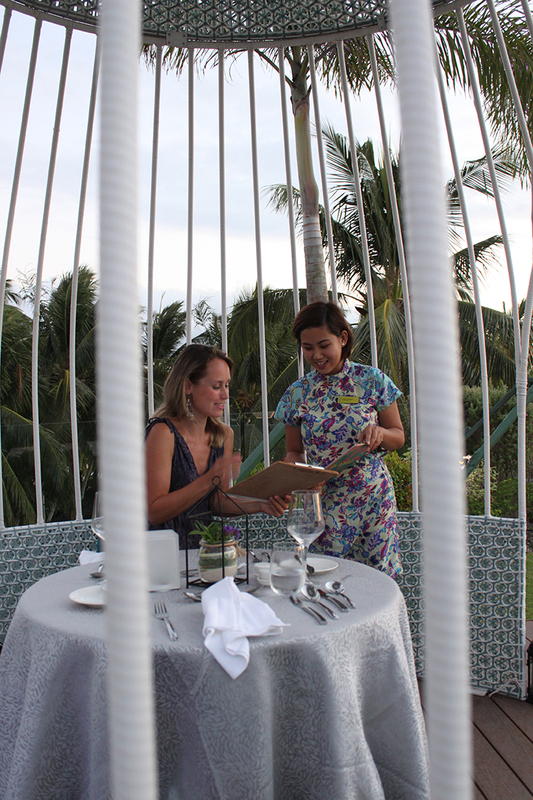 In addition to the serene atmosphere of the hotel, the very elegant rooms, and excellent service, you can have delicious food at the amazing rooftop terrace. 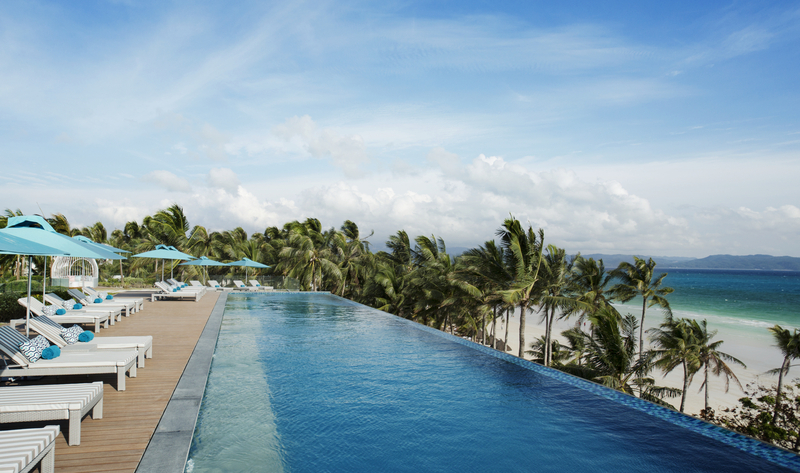 The Lind also has a breathtaking infinity pool with enchanting views of the white sandy beach where sunsets get a standing ovation. 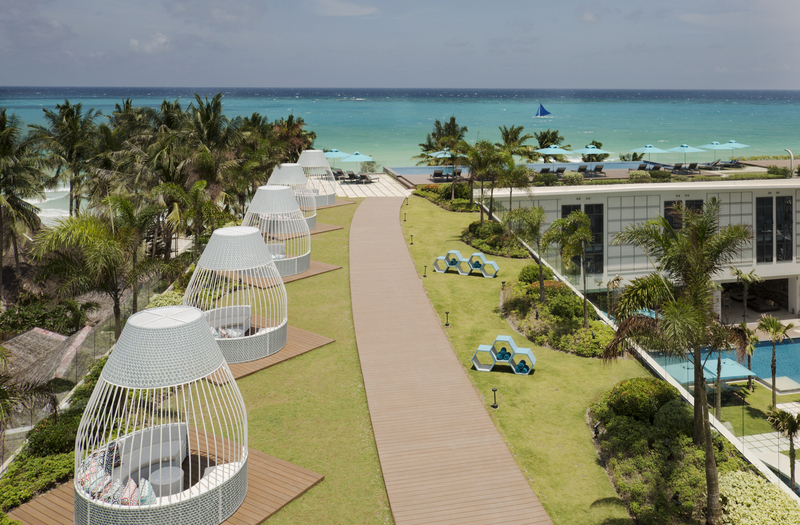 The Lind Boracay is situated on the exclusive end of the highly prized White Beach in Boracay. It is beautifully developed, with many surprising details. The design is contemporary, trendy and modern. It caters to the discerning traveler who likes luxury and comfort, and they have succeeded. 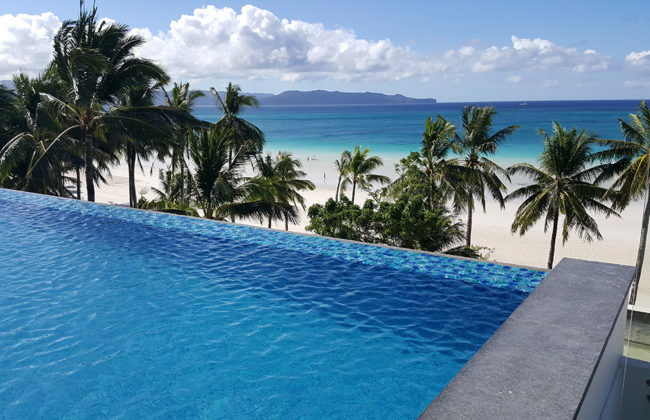 Located about 350 kilometers south of Manila, Boracay Island is only seven kilometers long and less than a kilometer wide at its narrowest point. Boracay is a tropical paradise on a small postcard size. And that’s the way you feel it, however with all the charm of a large island where you can look for both the crowds and the peace. On the beautiful beach of Boracay (Station 1) The Lind has made its mark, literally. The Lind has 119 rooms ranging from a cozy 47 square meter room to a spacious room of 181 square meters. All have spacious balconies. 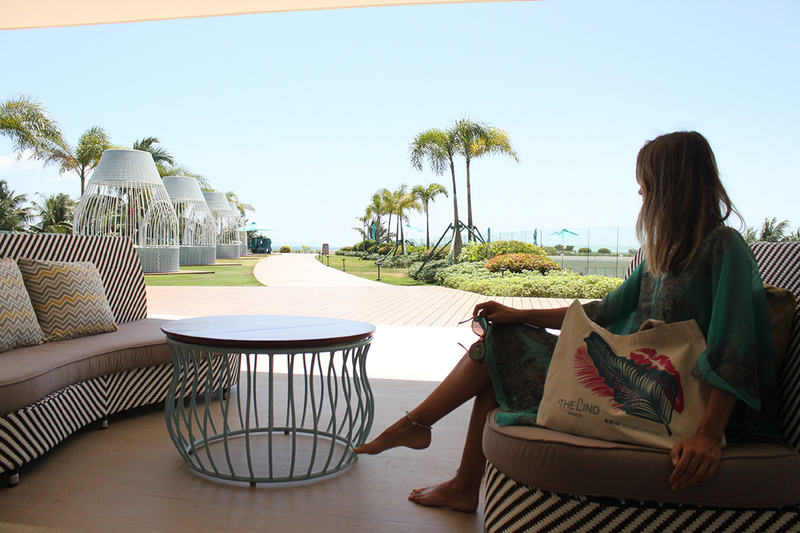 You can choose a room overlooking the beach, the pool or on the rooftop terrace. All of them are equally beautiful and brand new. 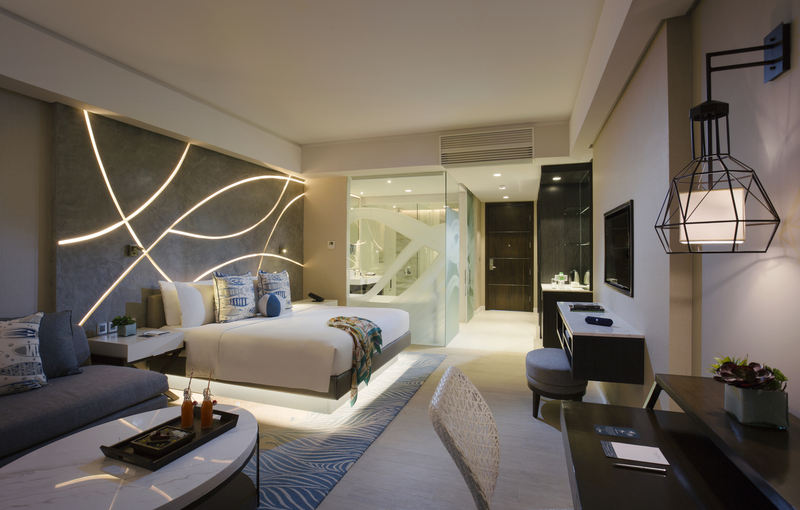 The modern and elegant rooms are spacious equipped with recycled local materials in combination with refined decorations in blue tones. 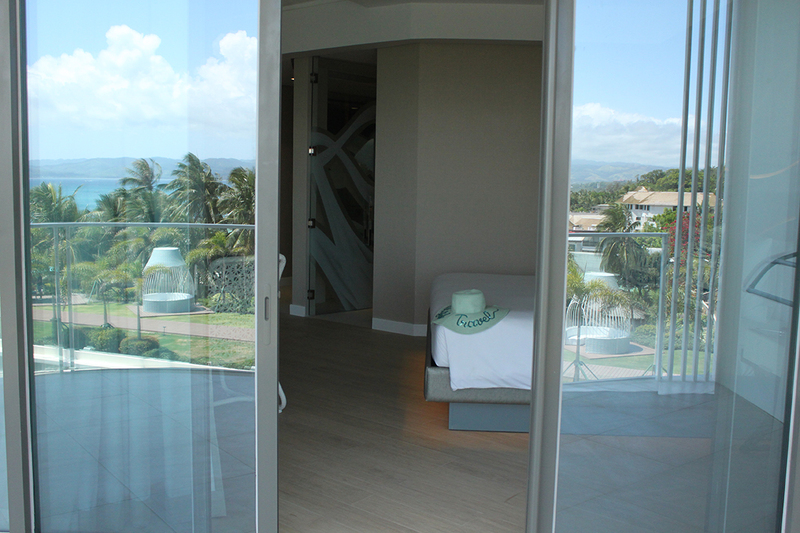 The Beach Room is located right on the beach and is equipped with a kingsize bed and a nice sitting area. The bathroom has a large shower and a modern freestanding bath. The view from the room is breathtaking. Watch and judge for yourself. 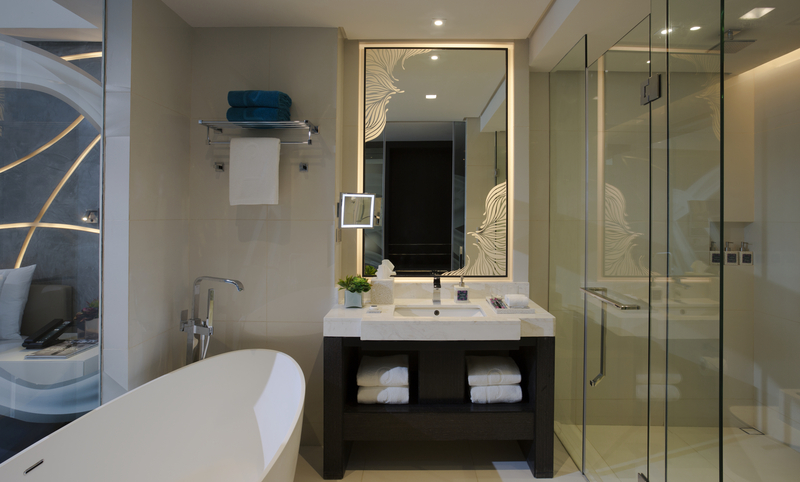 Upon entering you get absorbed by the beautiful and sleek bright design of the hotel. The funny thing is that you cannot see from the beach how big this complex is. So it was a complete surprise when I entered. You cannot believe your eyes. I loved it, it was so beautiful. 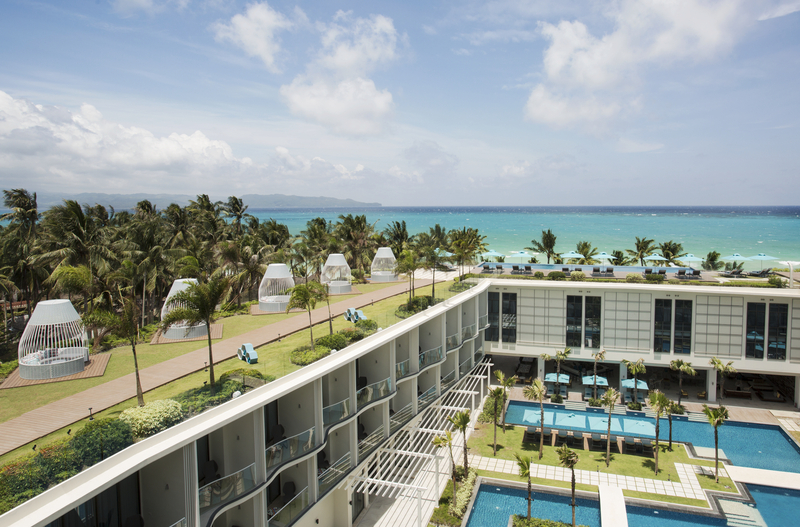 The Lind Boracay is a 5-star lifestyle resort. 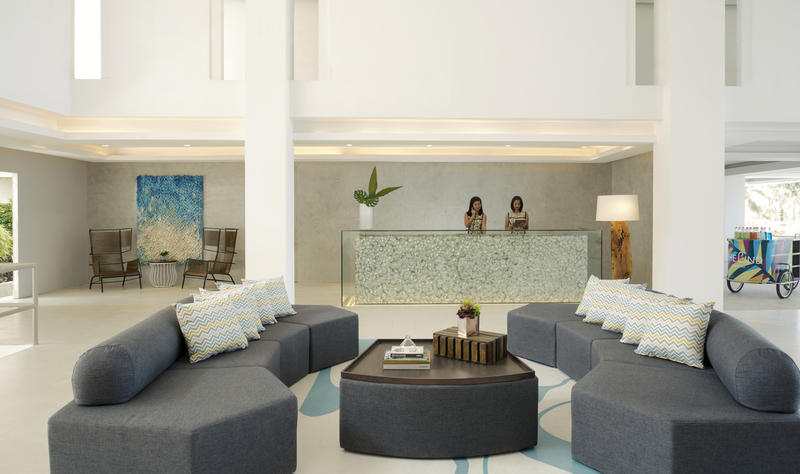 In collaboration with leading designers, the resort presents a lively and colorful hotel concept with which it offers a dynamic expansion of the Filipino hotel choice in Boracay. Therefore, The Lind is in my opinion the only one which stands out from the crowd. If you’ve once tried out a 5 star deluxe accommodation, you don’t want anything else anymore. Despite that The Lind (when I was there) had not opened officially yet, visitors do already know how to find the hotel and everyone is eager to book here. 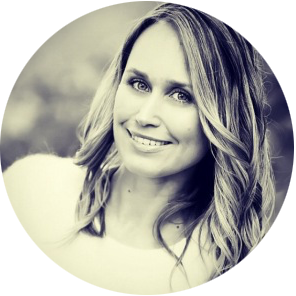 I had the opportunity to try it out for you. 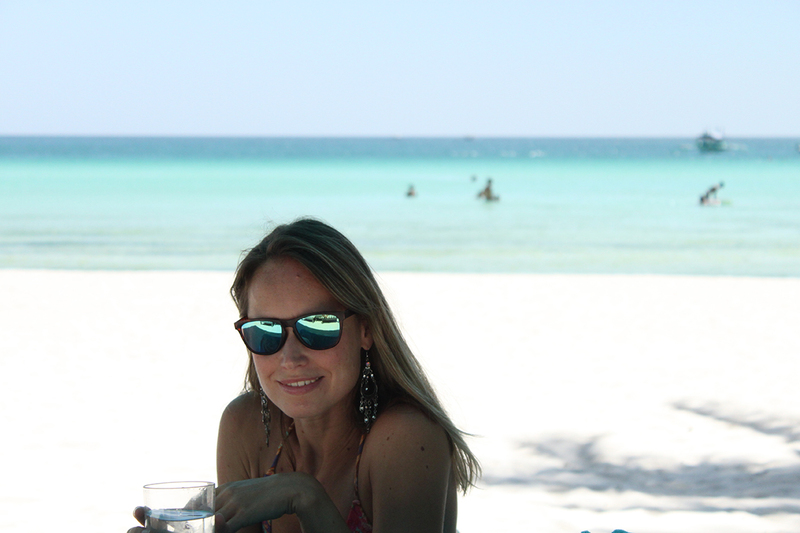 Read along and enjoy the pictures, because I can wholeheartedly recommend to visit Boracay and to stay over at The Lind! 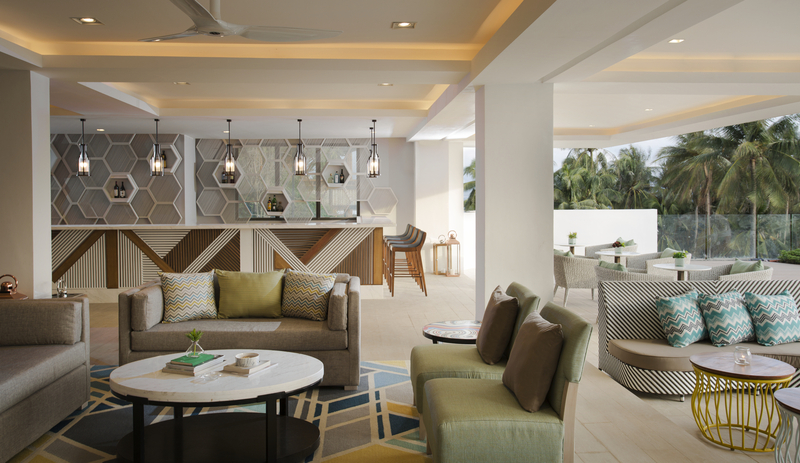 The hotel has a wide range of amenities such as a fitness center that overlooks the garden and swimming pools. The Kid’s Club has activities for children of different ages and The Spa is the ideal place to unwind. Here you can pamper yourself with facial and body treatments or massages. The culinary team at The Lind is led by top class chefs with extensive international experience. 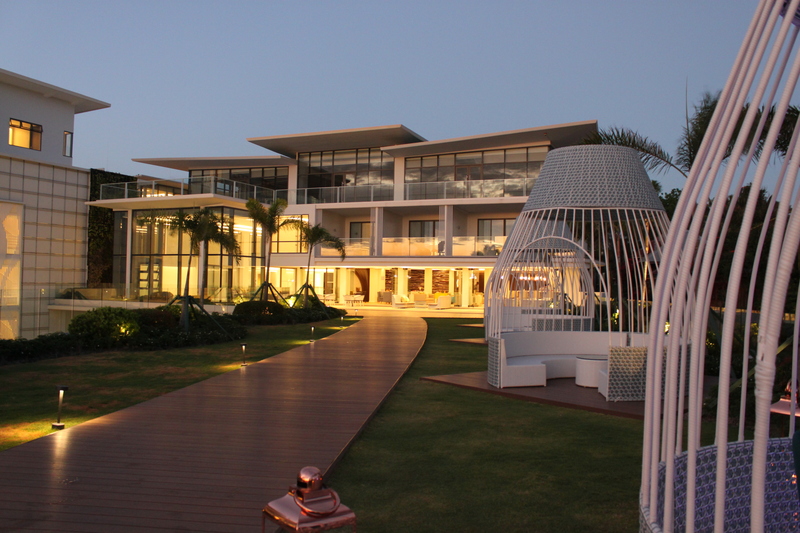 The hotel has six restaurants, each with its own distinctive, creative dishes. Every day there is something new on the menu. 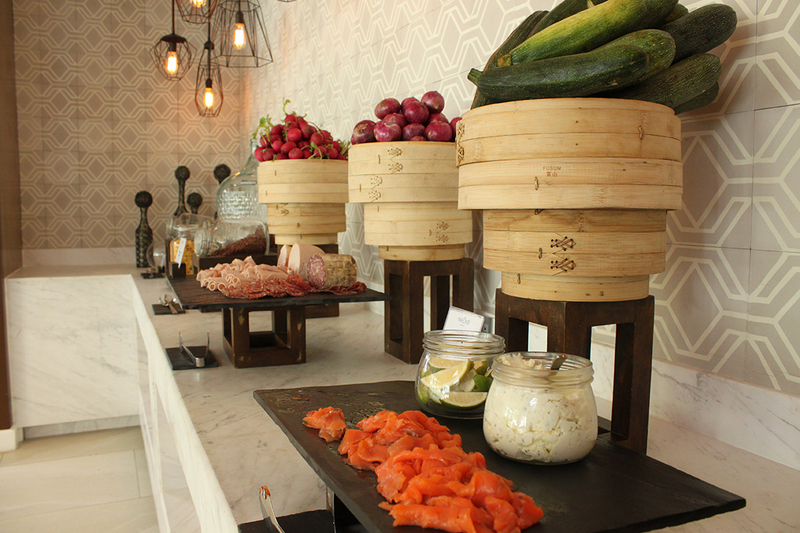 It starts with the abundant breakfast buffet with lots of fresh products. The mangoes were my favorites at breakfast. So delicious! In the afternoon you can lie down by the pool or on the private beds at the beach. And if it’s too warm, you can treat yourself to a delightful refreshing drink. 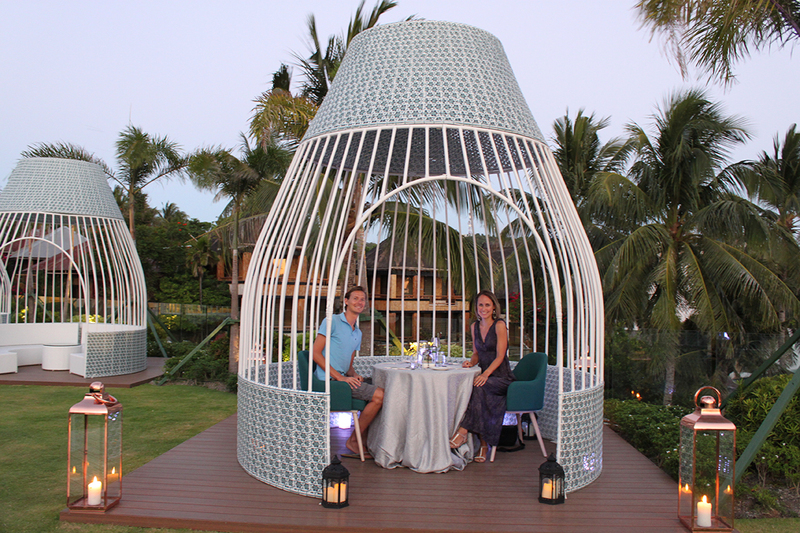 In a kind of “private bird cage” called Cabanas your own butler will serve you the most delicious dishes. And as night falls, you find yourself in a first class position to watch the sunset and then dine under the stars. 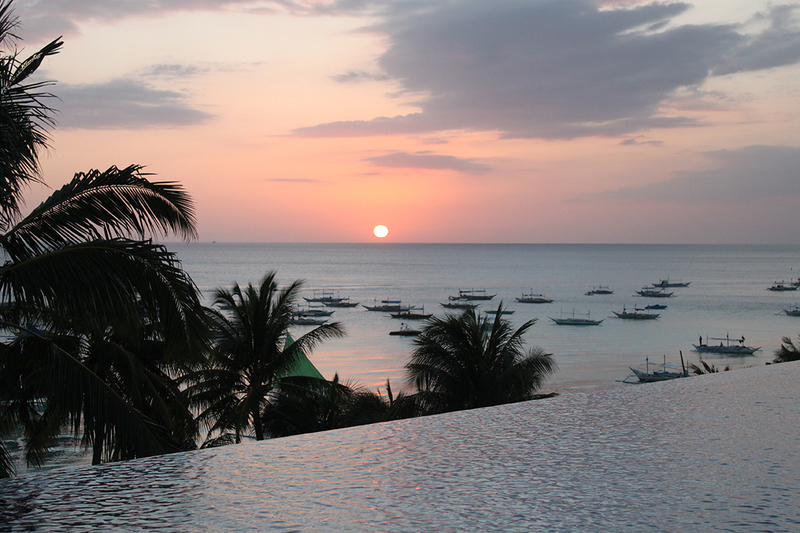 Boracay is known for its beautiful sunset. Each night the sky turns deep red and treats you with the most amazing colors. This is also the time when everyone comes together at the beach. Evening after evening, you can enjoy this beautiful spectacle and great atmosphere. To reach Boracay, you can fly to Kalibo Airport. From Manila you can fly with Philippine Airlines, it is a short flight of about 1 hour and 10 minutes. From Kalibo Airport, take the shuttle bus to Caticlan port (2 hours) and from there you take the boat to Boracay. 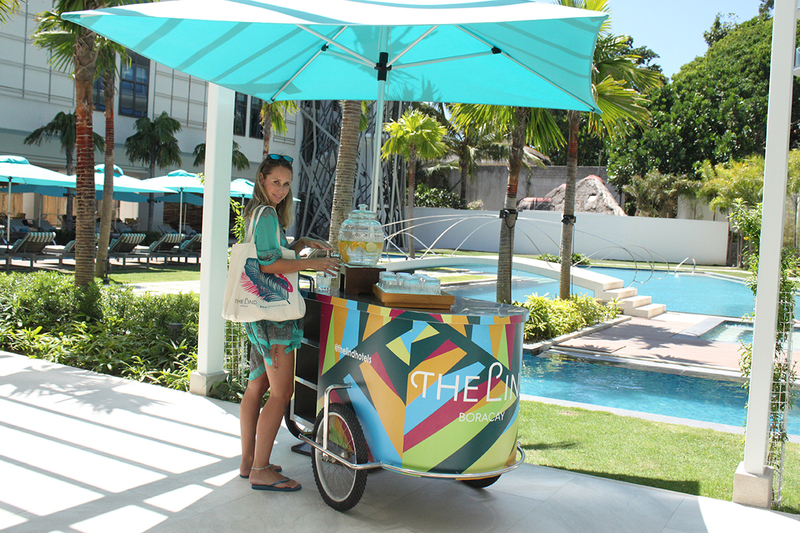 There vans or mini tricycles will be waiting for you to take you further on. Boracay is divided into three sections. The Lind is located in the so-called “Station 1” on the other side of the island (about 30 minutes). There are also charter airlines which fly directly from Manila to Caticlan airport so you can skip the bus trip from Kalibo to Caticlan. I’ve done this passage also with Philippine Airlines. Tip: book on time, the longer you wait the more expensive you’re out.